Last month’s release came with it CCPs most ambitious change to EVE’s PvE, arguably since Incursions. The release of Shadow of the Serpent (SotS) was unlike most of the other events we have seen in the last year, as it includes an entirely new interface, and likely sets the pace for PvE content moving forward. Unfortunately, it hasn’t really gone over well. However, it is always important to realize with such things that often the best solution isn’t too far from the less-than-great solution you see, and in EVE this is even more true. Only by looking at a features, component pieces, and with sober but optimistic lense may we unpack what has gone right, what has gone wrong, and how to best change the feature moving forward. So let’s do just that. As mentioned above, the SotS brought with us a new interface courtesy of the SCOPE Broadcasting network. Gone are the days where Empyreans must trek across space to find agents looking for work to be done. Now, at any given time, four agents will have basic tasks they need you to perform. These tasks can be as simple as “mine x amount of y mineral” or as complex as “End an Incursion”. Many of these tasks are also tied to the SotS events as several kinds of Serpentis and Angel locations have been made accessible to capsuleers, and each have a task assigned to clear them out. Most of these sites are a simple “go to this area and kill everything” with no acceleration gates or anything else to get in your way. One exception – the “shipyard” – has a loot container that requires you to clear the center guarding pack before opening it. Taking the reward inside ends the site. There are also Angel and Serpentis guards on gates that can be the target of an assignment. Each task completed awards you with points. Hitting key thresholds will unlock gift boxes which come with several random items, and at least one guaranteed item. The boxes come in three tiers, and the higher tiers come not only with their own rewards, but lower tier boxes as well. The bronze box is unlocked at 10k points, the silver at 25k, and the final gold tier at 50k. Tasks often require players to complete 1 to 10 sites, and reward up to 1k points on completion (not per site done. When the event started the only known reward was that the 50k tier had a guaranteed BPC for the new Serpentis Vehement class dreadnought. Ultimately it was discovered the loot was primarily Serpentis SKINs for Gallente hulls, SP boosters, Serpentis ship BPCs, and clothing. Before beginning to unpack what made this feature not really work, let’s talk about the feature’s main winning points. Unlike previous events in EVE, and really pretty much all previous PvE content of the game, the Serpentis sites err on the side of giving credit to everyone. Any pilot on grid at the time of a site’s completion will receive credit if they have the assignment to complete that site regardless of whether you had fired a single shot, or even decloaked. While some initially pulled away from this as being a good thing, over time the true power of this decision came forward. Another thing done very well was the division of priority between sites. While the sites spawn throughout space for everyone, your tasks will only allow you to gain benefit from a small subset of those sites. This means if you are traveling alongside others, chances are you will soon find yourselves prioritizing different things. This is a vast improvement from other events where everyone was going after every site, which made it so that if you happened to be on the same track as someone else, nothing but bitterness followed. There are a few things that makes SotS struggle to really hit it’s true potential. The fixes for some of those issues could be complicated, but many of them are quite simple. The reward structure is… unrewarding: The notion of loot boxes, prizes for accumulated effort over time, is great, but the barrier to recieve your reward is not. The purpose of your low tier reward should be to implant the idea in your player’s mind that it is “easily obtainable.” If your reward structure requires several hours of work at minimum to hit the first tier (which it does), that reward better be significant. Beyond that, there should be an additional token reward that can be gained within a moderate session time (think 30 minutes). This doesn’t have to be much. 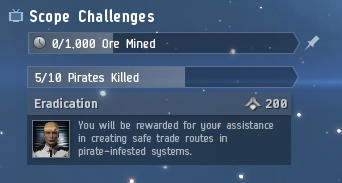 A random item worth ~10 million ISK would be enough. It is important to make players feel like they can have a win early, and relatively frequently. A better solution would be to give the bronze tier lootbox prize every 1k points until 5k, and then every 5k after. If there is anything we have learned about reward structures, they have to come early, often, and then peter out over time. This is why leveling systems increase the amount required to obtain each level, often logarithmically. This problem is even more compounded by the fact that the feature prefers highsec operations, and is strongly supportive of new players. Yet the final reward, the Dreadnought BPC, is nothing useful for those players. While trade is important in EVE, the people mostly supported by this event likely have no idea how to deal with the BPC, how to get value out of it, or anything of the sort. With such a low barrier to entry, the rewards should also have a low barrier to enjoyment. The Enemy is Presented Poorly: Serpentis was formed by V. Salvador Sarpati, adopted son of Igil Sarpati. The outlawing of the boosters that made the Serpati corporation so successful should have crushed them. However, thanks to the aggressive maneuvering of V. Salvador, it lives on as the Serpentis Corporation. The key to their success lies in Serpentis Prime, which was opened up as a freeport for the outlaws within the Phoenix constellation. 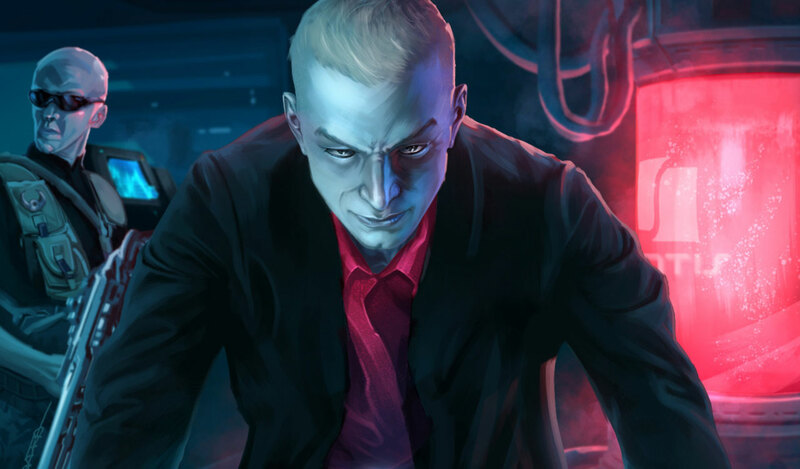 This ‘Tortuga’ of sorts has allowed the Serpentis to simultaneously provide a semi-legitimate corporate front, but also gave them the resources and allies to continue their drug empire. Soon the Serpentis, along with their newfound allies in the Angel Cartel, had the force to hold off the Gallente Federation, and in fact has engaged in two high profile hijackings of Federation equipment: the Titan Molyneux and a Nyx class supercarrier. The Serpentis are also well known for acquiring the ORE corporation via hostile takeover nearly a decade ago, and more recently, their loss of the same corporation at the hands of Upwell Consortium and Mordu’s Legion. However, most of this backstory is buried within the EVE Source book’s six pages dedicated to the organization. 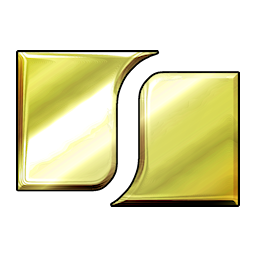 Where other organizations – such as Mordu’s Legion and Sansha’s Nation – have had a lot of flavor added over the years, in the form of books and videos, the Serpentis Corporation is largely only treated as “those drugs guys” and not the free market/piracy defenders they truly are. Additionally, we already were hired by Upwell to smash them earlier this year, and there really doesn’t seem to be a direct motivation for continued attack beyond eradication. The closest thing we have is the interruption of Fanfest, and while this was very good, there wasn’t enough follow up to make anyone care. Lore and “things happening” in the universe entice people to invest in the universe itself, and is a necessary component of a real PvE overhaul. These events should be used to develop the characters within the universe, and allow players to become even more invested in the game they take part in. Additionally, from what we do know about the leader of the Serpentis, he would not be silent as his empire is picked apart. He has every reason, and every argument to compel Capsuleers to work for him, not against. Not including that is a huge miss. The Tasks Are Unclear: For the first few days many people thought the SotS sites were outright bugged. While this may have been true for some, the vast majority of players simply did not understand what is being asked of them. Even the site where you needed to loot an item says that you need to attack the enemies there (although this was later clarified). You need to limit the barrier to entry, and the best way to do that is to make the given tasks clear, and inspiring. Additionally, and this is a much smaller nitpick, the login screen shows you the tasks of the last logged in person. This can often lead to confusion especially for those who have trade or market alts they switch to often. Either a) make the tasks share account wide b) make the tasks for each player part of that player’s selection area or c) remove the tasks completely from the login and use that space to give players reasons to care such as more breaking news. Nothing Really Matters: Ultimately, this brings us to the biggest failing of this, and most of the previous events. They do not provide any life to the universe itself, but instead just provide another bland, repackaged way to shoot at the same red crosses. With the dynamic system of SCOPE, CCP could allow things to play out over time. Perhaps the invasion of the Serpentis started only in certain sections of space, or different regions should have more or less spawns. In the attempt to ensure that everyone can take part in these events they have removed the most characteristic thing about EVE that your choices, planning, and ability to capitalize on them have consequences. There is nothing to think about in these events, and ultimately the best method of doing them is to simply trawl randomly around highsec completing your tasks. The ancient symbol of the Ouroboros is that of a serpent biting its own tail. It is a symbol of introspection, self-reflexivity, and the cyclical nature of creation. There is perhaps no better symbol for what we can take from this event. What we see is the culmination of almost a year of events and attempts to revitalize PvE in EVE, but what we also see is that CCP has missed what the core engagement of PvE should be:allowing us to be invested in the universe itself. I don’t feel like I have ability to learn about my enemy, or even have that matter beyond knowing its resistance profile. There is no chronicle to go along with the event which could introduce us to the wider conflict, and no purpose or consequence to performing the tasks, or if you even should. What EVE PvE is largely missing is a sense of importance of your actions, and the SotS continues to highlight that. All that said, it is important to not forget the things that made the feature really good, as we have learned a few things about how to engage especially newer players in a way that doesn’t cause 90% of players to quit thanks to exclusively negative interactions. This isn’t about a bad feature, this is about an imperfect one, one that could use improvement, and thankfully CCP has demonstrated they are willing to iterate on their plans here. 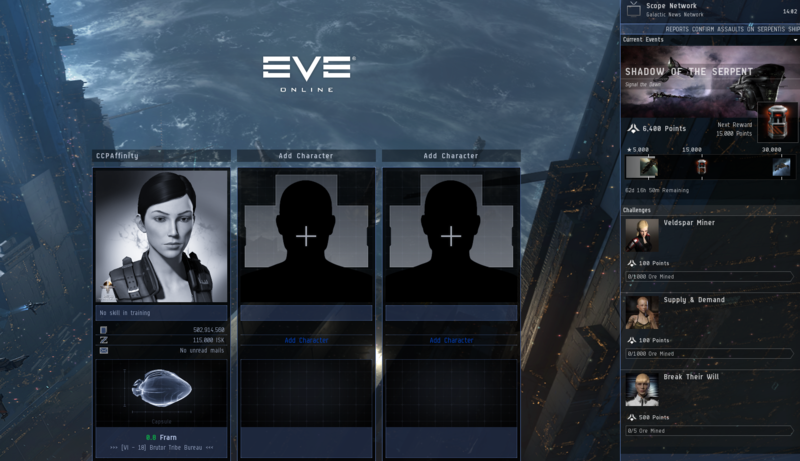 It is clear that no one truly knows how to actually make PvE in EVE engaging, but perhaps with a bit of realistic introspection we can get another step closer.